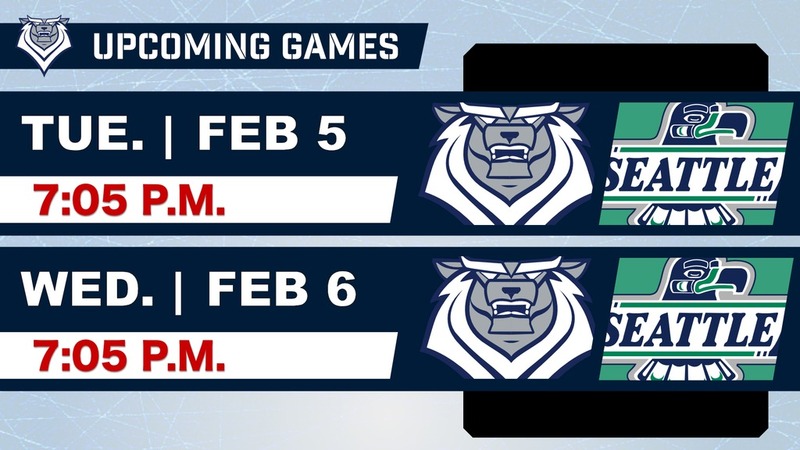 Victoria hosts Seattle tomorrow and Wednesday night. 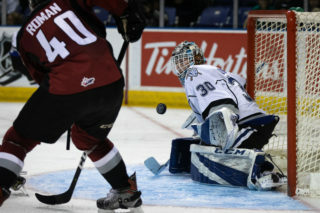 • Victoria Royals (25-20-1-2), second in BC Division. 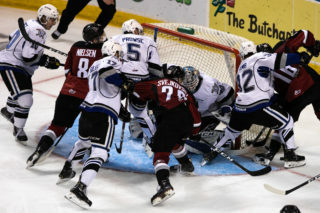 • Tuesday & Wednesday Opponent – Seattle Thunderbirds (19-24-5-1), fifth in the US Division. • NHL Affiliated Players – Jarret Tyszka (Montreal). 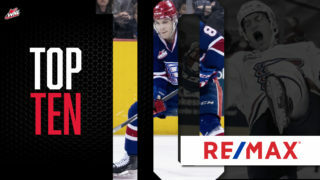 • NHL Central Scouting Midterm Rankings – Jake Lee (ranked 78th among North American skaters), Henry Rybinski (ranked 129th among North American skaters), Dillon Hamaliuk (limited viewing rank due to injury). • Island Connections – Payton Mount (Victoria, BC). o Two club seat tickets to see the Vancouver Canucks vs. Calgary Flames on Saturday, February 9th. o Round trip ferry with car admission. o A room at the Coast Coal Harbour Hotel. o Signed Vancouver Canucks Brock Boeser photo. 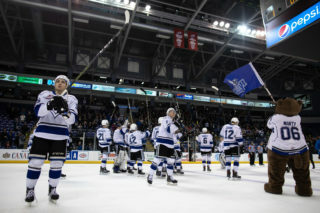 • Wednesday – This season, every Royals’ Wednesday home game is Student Night presented by Coast Capital Savings. All high school and post-secondary students (aged 13+) who show ID when they visit the box-office to purchase a Student Night ticket qualify for discounts, contests and giveaways. 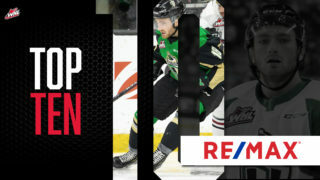 Students are also encouraged to visit the Coast Capital Savings table, at select Student Night games, to enter a season-long draw to win a great prize. 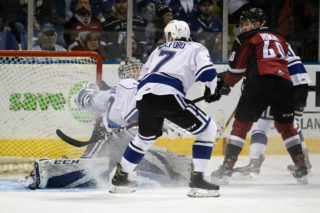 • Tuesday Second Intermission – Ali Baba Pizza Box Shuffle – A pair of contestants will race to deliver pizza boxes to Marty the Marmot, where the winner will receive a $50 gift card to Ali Baba Pizza. • Wednesday Second Intermission – itgroove Musical Chairs – Five contestants will participate in a game of musical chairs for a chance to win a Google Home Mini courtesy of itgroove.